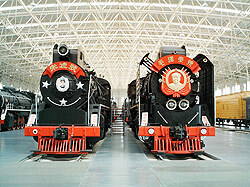 Firstly, I wanted you to know that there are actually two railway museums in Beijing. 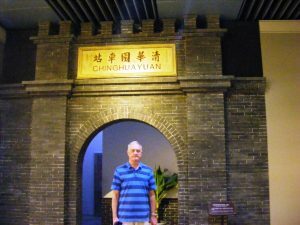 If you want to see the history and the details of China’s vast rail history, you should visit the former Zhengyangmen East Railway Station of the Jingfeng Railway just southeast of Tiananmen Square. This location was opened in 2008 and is very accessible by bus and subway. 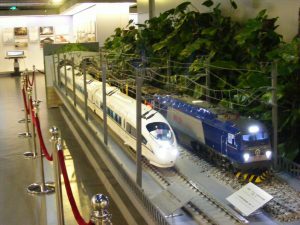 There are 4 floors of exhibits tracing the history of railways with models, photos hardware and plenty of rail history in the form of smaller displays. 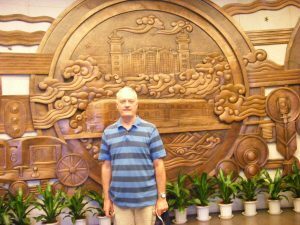 As a long-time rail buff, I was determined to see some of China’s history. 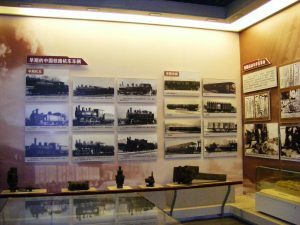 There are 4 floors of exhibits tracing the history of railways in China. If I guess correctly, every train enthusiast has their own special fondness for aspects of train lore. Mine stemmed from growing up in Indiana and being at the crossroads of three major railroads that came through town on a regular basis, including an abundance of steam locomotives. I’ll allow you to look through the photos of my few hours there. 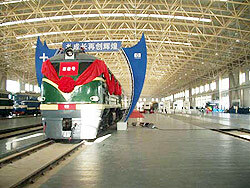 For those of you want to see real locomotives, they are 15km northwest of the city on the way to the airport. 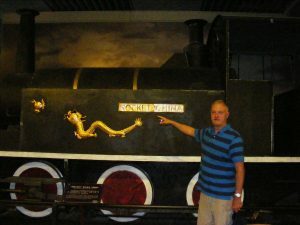 I enjoyed the museum in town although I would have vastly preferred to see some of the real “iron horses” in person. 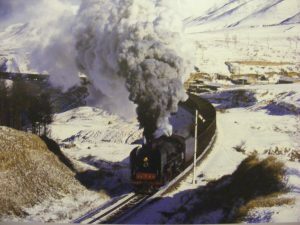 It is a vast collection of mostly steam locomotives. However, I must warn you. It takes forever to get there and is not (to my knowledge) served immediately by any subway service. You’ll need to plan this as a full day next time. I’ll know to plan a full day just for the “other” rail museum. Meanwhile, back in town, there was still plenty to look at in the few hours I had dedicated for this visit. 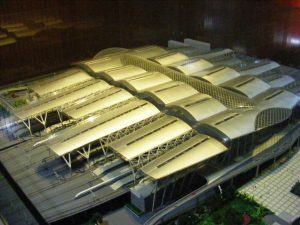 Of interest were several models of proposed and under construction new rail stations in various cities throughout China. 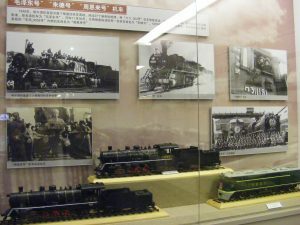 The other China Railway Museum is a Chinese museum preserving locomotives built in the People’s Republic of China since 1949. 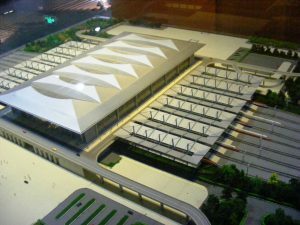 The museum offers a total exhibition space of 16500m² and 8 exhibition tracks. 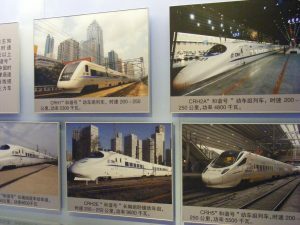 The museum is located in Chaoyang District of Beijing City, some 15 km northeast of downtown Beijing, inside the circular test track that is part of the China National Railway Test Centre. There may also be excursion available through your hotel. Don’t drive. For a sneak peak…here’s a borrowed photo of what to expect if you decide to make the day trip.